We take some time to thank the MVPs of Qlik Community who foster a culture of knowledge and understanding. It was just over 10 years ago that we launched the first version of Qlik Community. At that time QlikView users needed a place where they could gather to discuss the product, solve problems, try new solutions and improve their own analytical skills. Today, Qlik Community has expanded along with Qlik as the company has grown: over 100,000 worldwide users strong and continuing to add new contributors every week! As happens in many communities: top contributors begin to emerge as time passes. These are the individuals who monitor actively to answer questions. They have resources at the ready for users who may be stuck: especially for first time users. Most importantly, these leaders go a long way towards making the use of Qlik a pleasant and enlightening experience. This year, we sought to select 16 of these Most Valued Participants (or MVPs) and you can see their names listed below. These community leaders have positively impacted Qlik Community with their preparedness, positivity and curiosity. 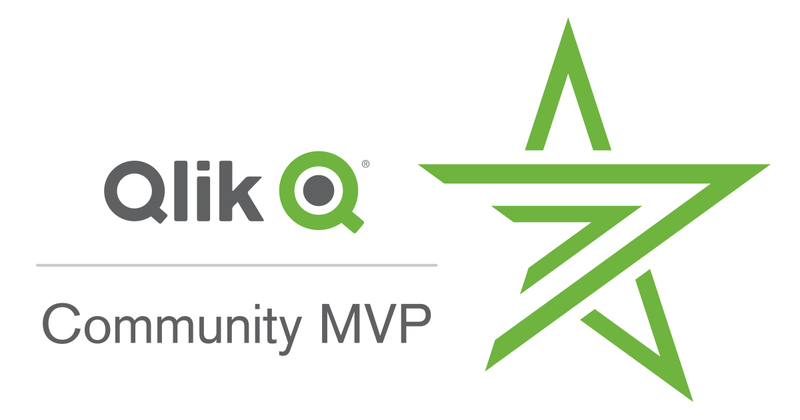 Several of these MVP's were founding members of the community and remain very active as the Qlik Community has grown from a couple of discussion forums to the active and robust user group we know today. To more properly show our appreciation for these MVPs, and to recognize all that they have accomplished on Qlik Community: we have commissioned special cards to commemorate the honor. Honestly, what kind of MVP award package would be complete without a sports card to display user stats, company affiliations and fun facts?